Today we’re showing you the reasons why the world’s medical technology (MedTech) companies find Ireland an attractive option – why reskilling into this stable and growing industry makes sense for tomorrow as well as today. The highly skilled Irish workforce is one of the key things mentioned by most companies when they announce a move to Ireland or an expansion of their operations here. The IMD World Competitive Yearbook 2014 ranked Ireland number one worldwide for the availability of skilled labor, flexibility, and adaptability of the workforce. Ireland also has some natural advantages, it has the largest growth of working age people in Europe. Essentially, when companies are looking at where to invest, Ireland provides a growing population of people who have skills they require or are willing to develop them – that is a strong draw for any company. Basing their manufacturing in Ireland gives companies a geographical proximity to the European market. This still remains the second largest market in the world for medical devices and one that is of key importance to global companies. This is of particular relevance for U.S. based companies – an Irish presence provides them a footprint in one of their priority markets. A base like this within the European Economic Area also means that there is free movement of labor from other member countries, this means that companies can draw on European-wide talent if necessary without needing working permits or visas. In addition, manufacturing in Ireland gives companies access to the European Union regulatory processes. It has been estimated that bringing a product to market in the U.S can take up to five years longer than it does from Ireland due to the difference in the regulatory processes. These quicker procedures come with no compromise of the standards of the regulation. With technology changing quickly and companies in a constant effort to market innovative new products in an ever-changing healthcare marketplace, this can be a real advantage. Ireland’s corporate tax rates have been a draw to businesses for many years. The 12.5% corporate tax rate for active businesses compares favorably against other European destinations as well as further afield – it is one of the lowest statutory corporate tax rates in the world. In addition to this rate, Ireland also offers other favorable environmental factors to business, such as a 25% tax credit on research and development expenditure and further relief on expenditure on intellectual property, amongst many others. Whilst being competitive, the Irish taxation system is fully transparent and compliant with both EU competition law and the OECD guidelines. These conditions suit many industries but they are a particular draw for sizeable research orientated medical technology companies – exactly the sort of companies that would provide stability for someone looking to change industry. There are many examples from across the world of how a ‘cluster’ of specialized businesses together can promote growth. Some refer to this as the ‘MedTech ecosystem’ that Ireland has managed to establish. The continuation of both government and private investment in the Irish MedTech sector has led to several clusters of businesses throughout the country. (You can see some of these localized clusters very clearly on our Interactive Pharmaceutical Company Locator map.) It is estimated that there are now over 100 innovation-led MedTech companies in Ireland, representing all levels of the value chain (from research and development to manufacturing, packing, and sterilization). This means Ireland is now an extremely appealing place for companies looking to get involved in that chain. The foreign direct investment that was initially responsible for this cluster forming has also sparked a surge in home-grown business. European Medical Device Technology report that in 1990, there were only four Irish MedTech companies operating within the already growing cluster of global businesses in Galway. In 2011, there were 59 companies operating in this area and 38 of them were home-grown. The added benefit of Ireland’s MedTech clusters is the appearance and additional stability of more locally owned businesses into the marketplace. As technology progresses, medical devices become more complex. It is becoming increasingly common for different specialist companies to work together to produce ‘combination technology’ – products that none, on their own, could. Geographical proximity and the ability to work with local partners on such projects is appealing, over 25% of Ireland’s MedTech companies currently have a shared service mandate to promote such co-working. These conditions make an ideal platform upon which a skilled individual can launch a successful and fulfilling career that has true staying power. Check out our Job Announcements page for an up-to-date list of companies who have recently announced new jobs across Ireland. In addition to the government’s efforts to attract business via their tax environment, there are also organizations established to provide specific help and support to companies looking to relocate to Ireland or for new companies looking to start-up here. IDA Ireland is the organization tasked with attracting foreign direct investment. In 2013, a representative was quoted as saying “Medical technologies is a fantastic sector and one that is critical for the IDA”. Enterprise Ireland has a similar remit but is concerned with helping and promoting Irish startups. These dedicated organizations, with the ability to provide support to companies entering this marketplace, mean that any barriers can be addressed directly making a successful move much more likely. And the support doesn’t stop there – as well as helping to attract them in the first place and assisting in start-up, these organizations can both provide additional support to businesses looking to expand. If a company already has a successful facility in the country, they can assist them in moving more of their business here or scaling up the plants they have to provide a greater production output. This ongoing attraction of new companies, as well as expansion and development of those already operating in Ireland, means that job opportunities are varied and that those with the right skills are in demand. Have a look at our current vacancies page to get an idea of the posts available right now throughout Ireland. Over the years, Ireland’s focus has evolved from being a center of choice for the production of active pharmaceutical ingredients to being a well-respected partner to companies across various medical endeavors. 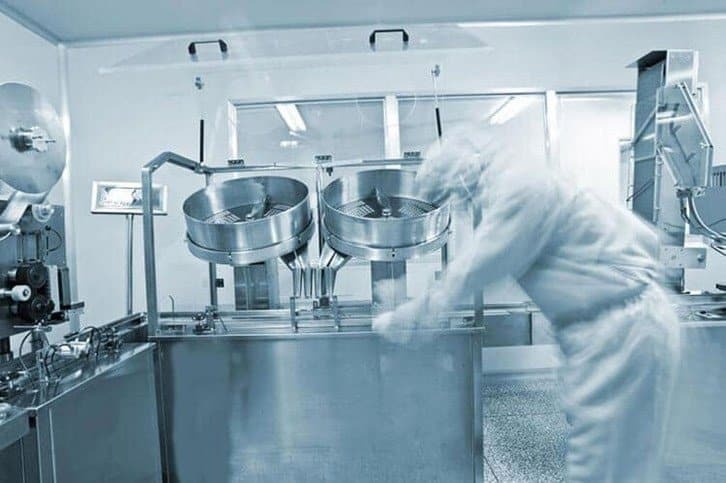 There are currently over 30 (I think its more than that) FDA approved pharmaceutical/biopharmaceutical plants across Ireland – this is a testament to the standards of practice in the industry here. All of the above benefits come alongside one of Ireland’s most attractive features – a strong reputation. Ireland has proved its commitment to MedTech over the last few decades and the relationship the industry has with the country is well established. So other areas may appear that offer competition in perhaps one or two of the areas listed above but what they cannot offer is the history and the solid, reliable, enticing reputation that Ireland offers to the world’s MedTech.